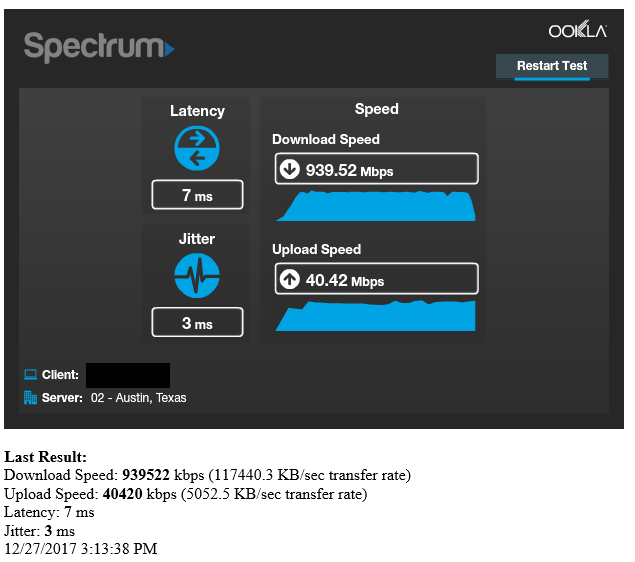 Spectrum upgraded my area to DOCSIS 3.1 to offer 1G/40M service. I believe they have it configured for 1.7Gbit shared downstream (using DOCSIS 3.1) and ~100Mbit shared upstream (sharing the legacy DOCSIS 3.0 upstream channels). This is unverified because the modem (a Technicolor TC4400-AM) has a non-default password on its status webpage. Required speedtest. The installer was here for about an hour and a half. 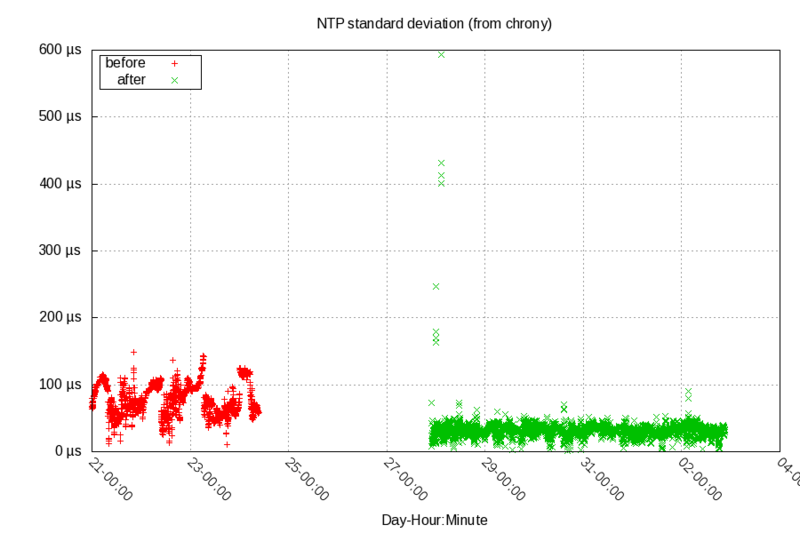 I measured the jitter in both directions with NTP before and after the upgrade. This is slightly worse, but still reasonable. 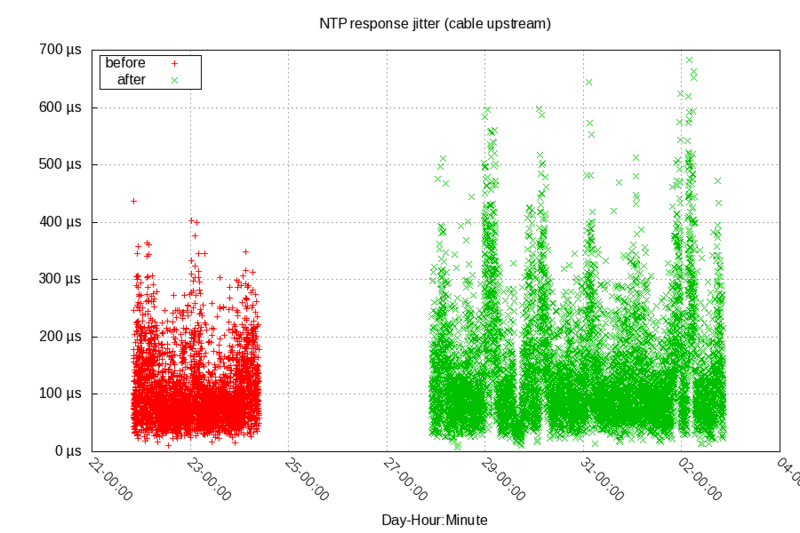 The average jitter increased from 102µs to 136µs. The average jitter reduced from 3.9µs to 0.2µs. 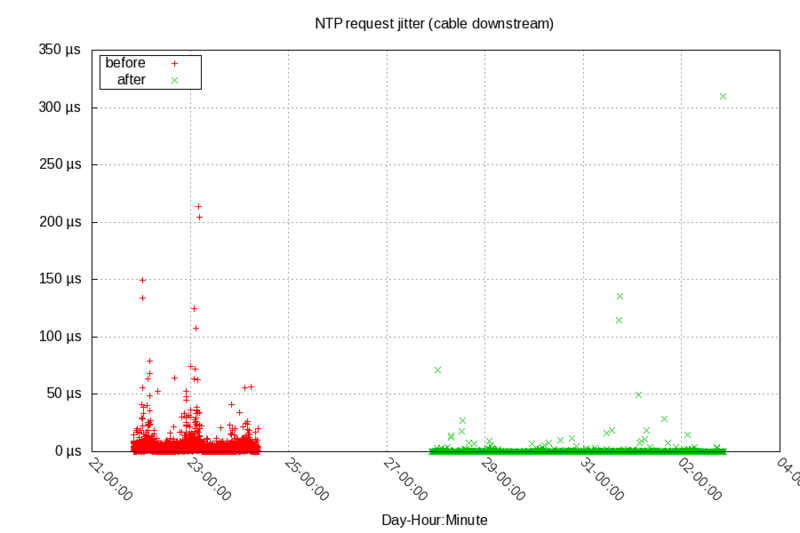 Time will tell if the jitter will increase as more people in my neighborhood upgrade to DOCSIS 3.1. I get the impression that there's not much traffic on it yet. 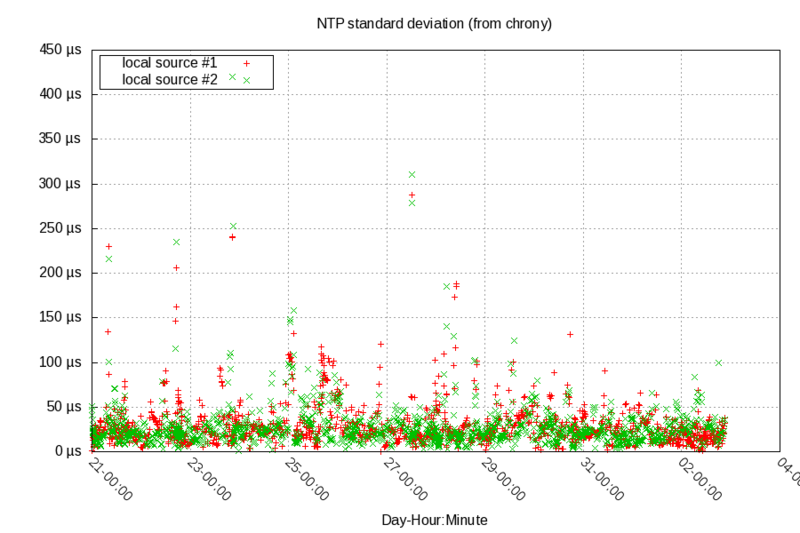 I'm using my asymmetric NTP client between my VM and my home, which is only affected by the downstream jitter. Below is chronyd's measure of the timesource's standard deviation.